The outpost is a pretty great place to live, Of course like any place it has its pros and cons. Some cons is the walls are paper thin, i can hear just about anything (might just be me idk). Also the floors are super creeky which means I hear my upstairs neighbor walking around at 6 am. But there are some pros, you have a bus stop right there and you are he first picked up (always get a seat) and first dropped off (so if your standing you get out first) and the pool is great and always clean as well as the staff is always there to help. Even though there are some cons i renewed my lease because its still a great place to live. 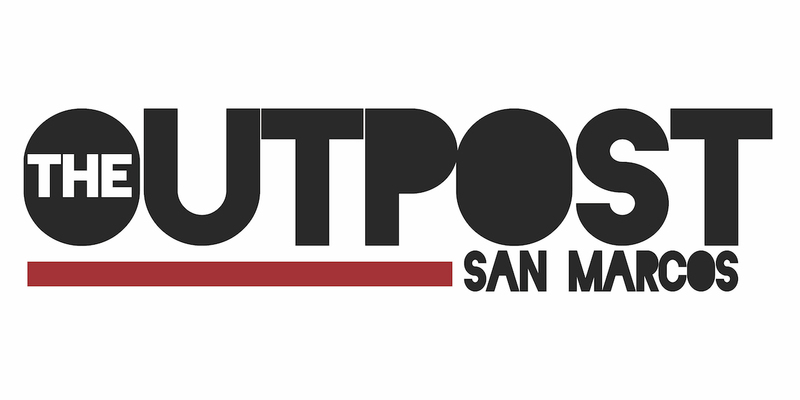 The outpost is a great place to live off campus. The bus stop is perfect because you’re the first one to get picked up. The only thing I would rate them low on is outside maintenance. There’s dog poop everywhere. Analise, Thank you for leaving us a review. We are sorry about the blasting of music. If that happens again please come into the office and let the managers know so we can handle it accordingly. Also be sure to check out our April Events and Weekly Giveaways on social media. Mallory, Thank you for leaving us a review. If you would like to come into the office and let us know where the smell is at exactly so we can fix that for you. Also be sure to check out our April Events and Weekly Giveaways on social media. Angelica, Thank you for leaving us a review and be sure to check out our April Events and Weekly Giveaways on social media. Alireza, Thank you for leaving us a review. Our pest control comes once a week, you would just need to come to the office and let us know what you are seeing so we can put your apartment on the list. I hope this helps you out. Please call the office if you have any questions. The lobby and maintenance staff here is absolutely amazing and they are quick to help you out with anything, including fishing your keys out of the dumpster and helping jumpstart your car. Melanie, Thank you for leaving us a review and be sure to check out our April Events and Weekly Giveaways on social media. The outpost is a nice place to live. People are friendly, maintenance is extremely reliable. The location is pretty quiet. Then kitchen is just small. Alysha, Thank you for leaving us a review and be sure to check out our April Events and Weekly Giveaways on social media. John, Thank you for leaving us a review and be sure to check out our March Events and Weekly Giveaways on social media. Love living here!!! I have lived here for two years now moved from one building to another. The rooms are very spacious with a descent size kitchen and living room. Another thing that make this apartment better is the people who work here the front desk are supper nice and always willing to help you as soon as you walk into the door. They also do a lot of events that help you get to know other people in your apartments. Maintenance supper cool they try to get orders done by the next day you summited one. Bertha, Thank you for leaving us a review and be sure to check out our March Events and Weekly Giveaways on social media. The resident experience at the Outpost is awesome! The maintenance is always fast at your service and it is the first stop on the bus stop. A great experience so far. Lysandra, Thank you for leaving us a review be sure to check out our March Events and Weekly Giveaways on social media. Great place to live, and the area is really nice and the staff is great and helpful, and always there. I would definitely reccomend this area to others as well. Wendsdei, Thank you for leaving us a review be sure to check out our March Events and Weekly Giveaways on social media. I’ve lived here for almost two years and they have been great! Everyone is super friendly and always willing to help with anything you need . Idaly, Thank you for leaving us a review be sure to check out our March Events and Weekly Giveaways on social media. Only real complaint is that there's dog poop everywhere around the volleyball court and grill area. If everyone could just pick up after their dog, this wouldn't be a problem. Thank you for leaving us a review be sure to check out our March Events and Weekly Giveaways on social media. In reference to the poop we will be sure to address it with all tenants. They are great about fulfilling work orders and make sure everything is running smoothly in your unit. The lights down each walkway are bright and they are on all night long which is nice. Kelli, Thank you for leaving us a review be sure to check out our March Events and Weekly Giveaways on social media. Love it!!!! Great people and nice staff. Always greet me kindly and know my name. Always have my packages and are nice about sending the texts about packages on time. Jaya, Thank you for leaving us a review be sure to check out our March Events and Weekly Giveaways on social media. Erika, Thank you for leaving us a review be sure to check out our March Events and Weekly Giveaways on social media. Amazing! The maintenance is amazing, they always attend us as soon as possible. They’re respectful and always respect our privacy. We have felt so welcome in our tiny home. Annika, Thank you for leaving us a review be sure to check out our March Events and Weekly Giveaways on social media. Great apartment and location. Upgraded appliance would make it 10/10. The staff is great and responds fast. Also love the giveaways and all the food. Gale, Thank you for leaving us a review be sure to check out our March Events and Weekly Giveaways on social media. The outpost is a great place to live. I love that we are the first on and off the bus which makes getting to class very easy. The staff have always been helpful in every situation given to them. Overall the outpost is a great place to live. Top notch maintenance and staff. Have lived here for 3 years and have never experienced any issues. I’ve had such a great experience living here. The maintenance is great and my roommate and I get along amazing even though we didn’t know each other before moving in. I have lived at The Outpost for two years now and have had a wonderful time here! The maintenance is always fast and friendly and I ALWAYS feel welcome when I walk into the front office. Thank you for an amazing two years!! Maintenance is the big problem here. They say a work order is complete when it’s really not, or the work that is done is not nearly adequate.